I made this Hearts painting on a wood block I found at a construction site. The hearts are from a PaperArtsy Stamp set by Emma Godfrey Set #13. I just loved these hearts. I created the background after watching a video by Leandra, the owner of PaperArtsy. 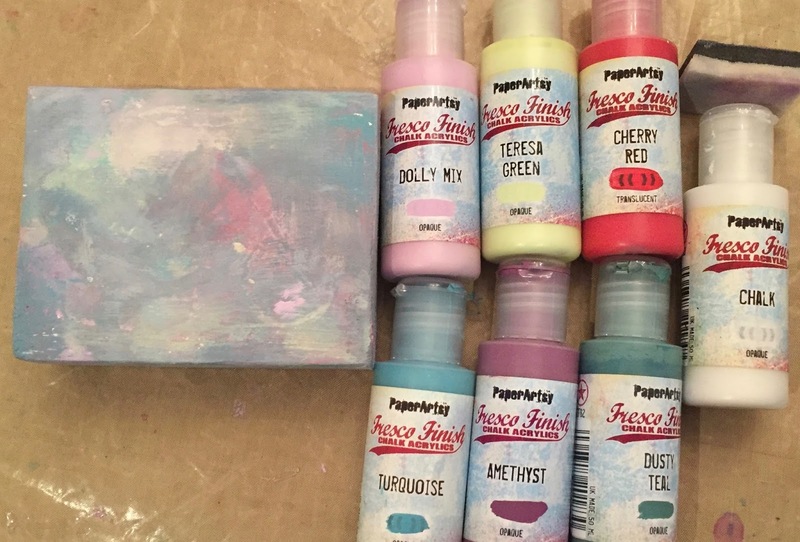 They have tons of educational videos and I really love their Fresco Chalk paints and stamps. Here is a link to the PaperArtsy YouTube Channel. Here is the video I watched to make this background. 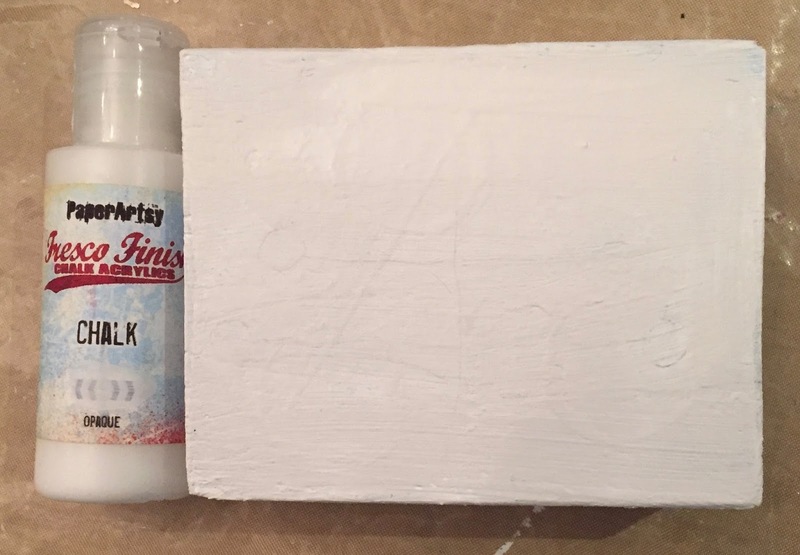 I put the paint on the cut and dry foam and rubbed it on the piece of wood. 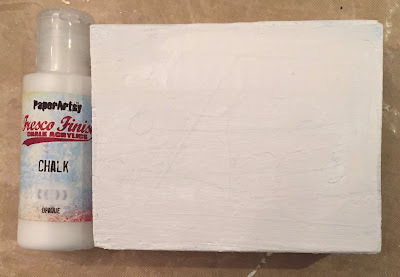 Before doing this I covered the wood block with gesso and then Chalk Fresco paint. These are the paints I used to make the background. I had done something else on this wood block that I ended up not liking so it has some texture and patterns in it that show through in the end. 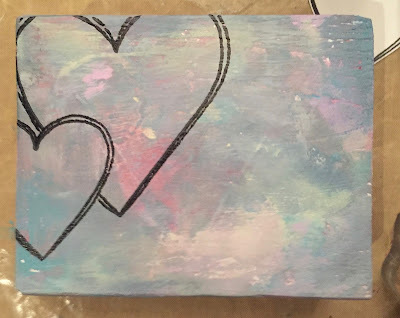 When I was happy with the background, I stamped on the hearts. I had previously stamped the hearts on paper and cut them out to make masks for this process. 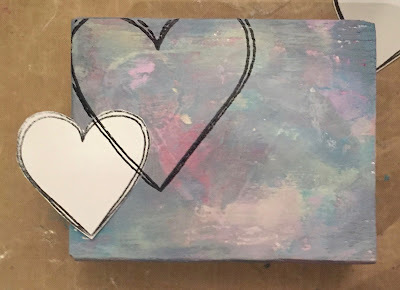 To paint the hearts, I used the Cherry Red paint mixed with some Chalk paint for the smaller hearts. I added some water to Amethyst paint to make it a little see through. I stamped the sentiment with Staz On Black Ink and cut it out. Since I only had room for three lines I had to add the last two words to the third line. After I cut out the sentiment I added black marker to the edges. 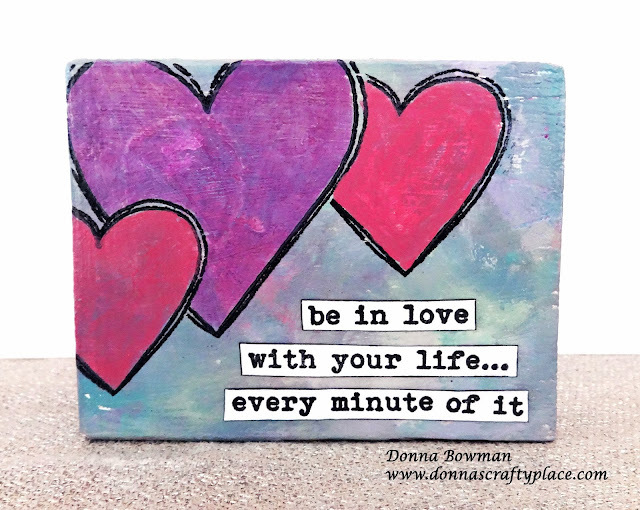 I adhered the sentiment and sealed the wood block with a coat of DecoArt DecoPage when I was finished. I just love this little wood block of hearts with an encouraging sentiment.